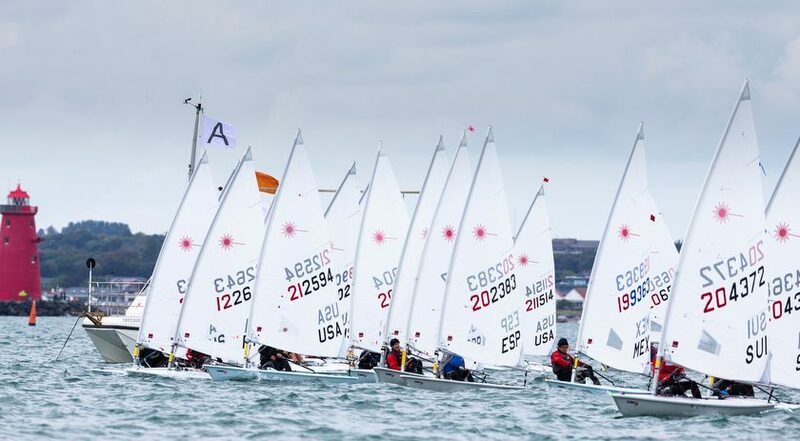 (Dún Laoghaire, Ireland) After a touch-and-go battle with light winds on Dublin Bay, both course areas delivered a final race to round off the Laser Masters World Championships sponsored by DLR on Saturday afternoon. Ireland’s Mark Lyttle emerged victorious in the Standard Grand Masters class despite placing seventh in the final. Sweden’s Tomas Nordqvist had been challenging for the top spot but had a 14th place that dropped him to fifth overall, clearing the path for race winner Carlos Martinez of Spain to take second place, just two points shy of Lyttle in first. There was a similar battle for the overall win in the Standard Apprentice class that ended the week-long match race between Spain’s Leandro Rosado and Canada’s Gord Welsh with the Iberian sailor edging ahead by two points. Of the lady helms competing in the Championships, the biggest grouping was in the Radial Grand Masters class where Lyndall Patterson emerged best of the seven sailors, beating fellow Australian Camilla Graves into second overall. Of the five women racing in the Radial Masters class, Canada’s Caroline Muselet was best in addition to placing eighth in the main class. Amongst the ‘slam-dunk’ classes that saw impressive consistency all week, there were few surprises despite the light winds offering to shake up the standings. Australia’s Brett Beyer had a tenth in the final to win comfortably as he discarded the result as his worst of eleven races; all his other races were top-three finishes. In the Radial Grand Masters class, the other big fleet of the event, Britain’s Stephen Cockerill had a second place and secured the title with over 20 points to spare. In the 37-strong Radial Grand Masters class, there was little doubting the vice-like grip on the fleet from Bill Symes of the United States after seven race wins. Ireland’s Christopher Boyd won the final race to secure third behind Sweden’s Lasse Wastesson. 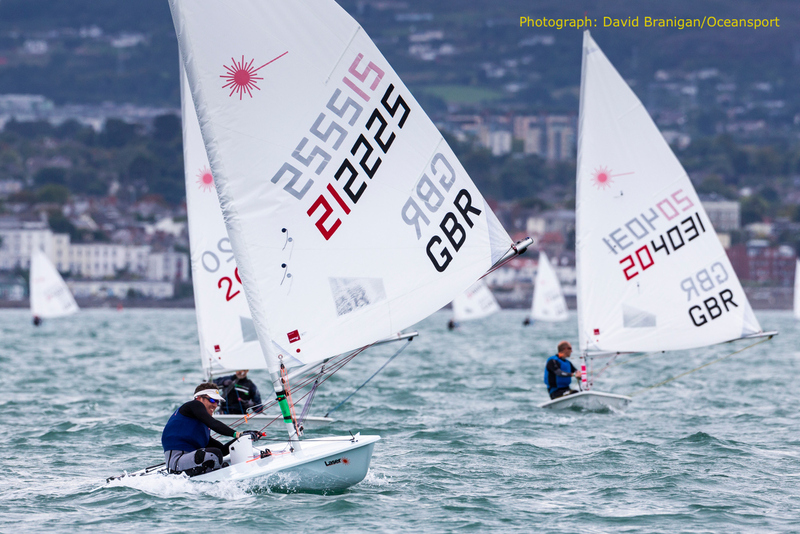 New Zealander Scott Leith won his eleventh world title after easing into second place, thus ending a series of all top-three results for the week. 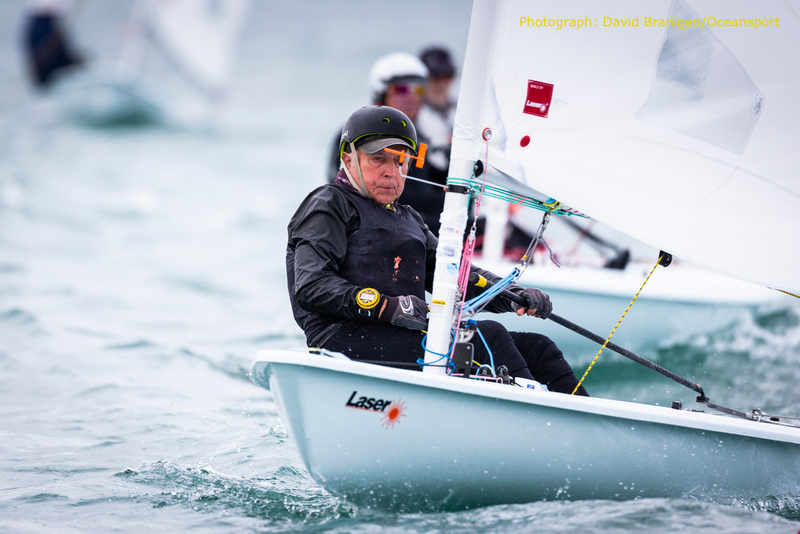 And with only one race in prospect as the time limit for the day ran down, Germany’s Wolfgang Gerz sailed ashore and still won the Standard Great Grand Masters class.